See 3D VT link. Stunning lake & golf views from this 1-level end unit Fairway Lane Villa in historic Sea Pines Resort. Experience the way it used to be when Sea Pines was designed for enjoying peaceful settings & easy access to pristine beaches. 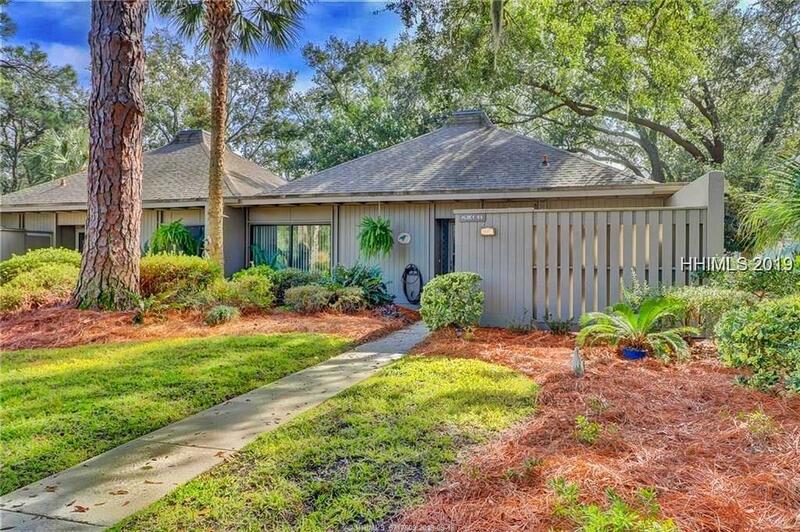 Very private & quiet area in Sea Pines w/spacious interior, large living room, w/ sunny "Sea Pines Room" overlooking the lush green lawn & small lake surrounding the private putting green w/views of the Island's first golf course! Very close to the new Sea Pines Beach Club & Plantation Golf Club, as well as Harbour Town and South Beach Marina Village. This condo is a "must experience"! New HVAC 2015.